Here at Cohen Orthodontics, everything we do is with one goal in mind: making our patients smile! Every patient is unique and great care is taken to develop a customized treatment plan for each individual patient. We listen closely to what the patients' wants and needs are so we can create their beautiful smile! Gentle care and a warm, friendly environment makes each visit special. Dr. Gwen Cohen and her team love getting to know our patients. The friendships that we develop make each day wonderful and we are always happy to see you! 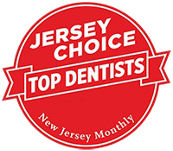 Dr. Cohen is continually voted a Top Dentist by NJ Monthly magazine, 201 Health magazine and TopDocs magazine. She is also a VIP Platinum Plus and Top 1% Invisalign provider. Digital impressions using the iTero™ system - no more goopy impressions! We treat all ages, from pre-teens through adolescents to adults. Please call and schedule your complimentary consultation. During your consultation, we’ll talk with you about your orthodontic goals and then explain the treatments we offer that can help you achieve that new, healthy smile. Cohen Orthodontics is located in Mahwah, NJ, and we welcome patients from all surrounding communities including Ramsey, Allendale, Upper Saddle River and Suffern, NY. Dr. Cohen and our team look forward to meeting you and your family. We cannot wait to help you achieve the stunning smile you have always wanted.